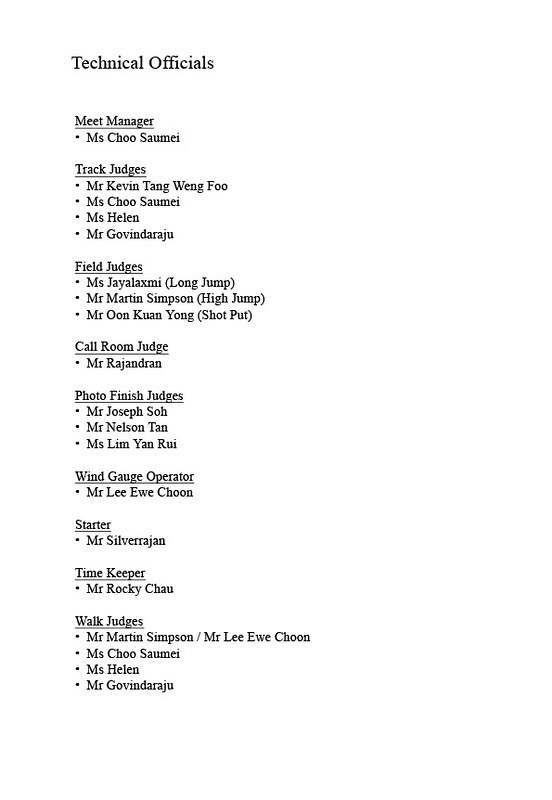 Congratulations to all the winners of the competitive events, including the dodgeball competition. 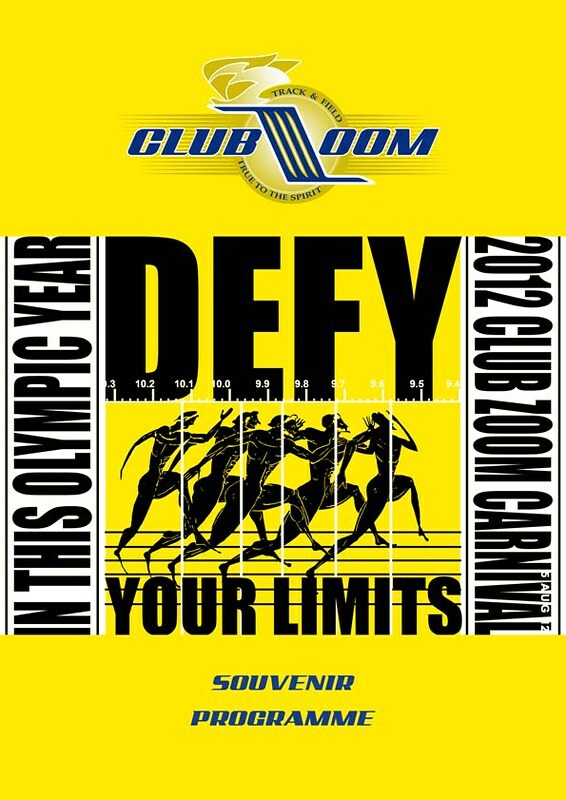 You helped to set a book of benchmark records for athletes in future Club ZOOM meets to aim for and improve. 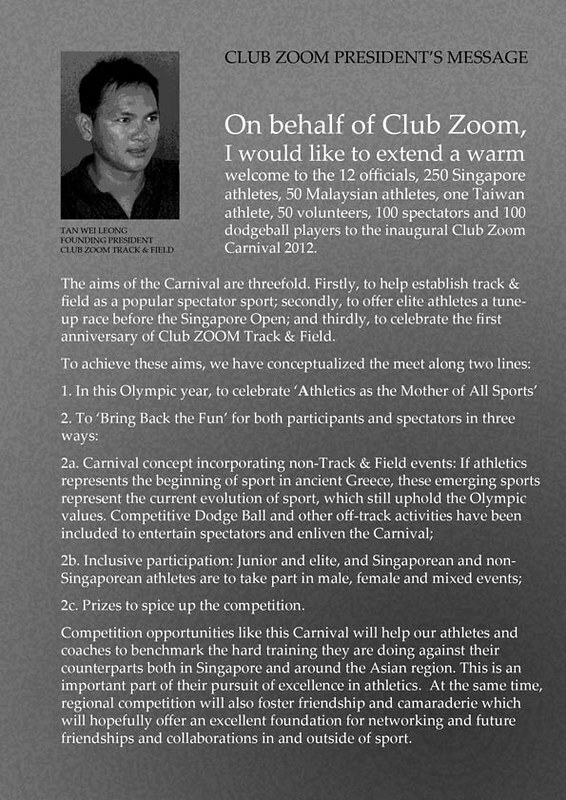 Thank you too, our visiting athletes from Malaysia and Taiwan. 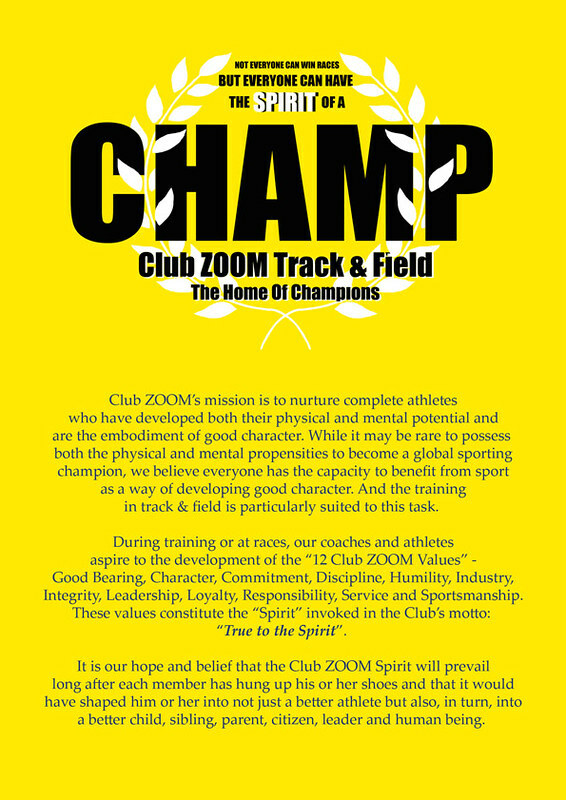 You have set the tone for future Club ZOOM meets to embrace transnational camaraderie in sportsmanship. Thank you to the dance and beat rap performers. 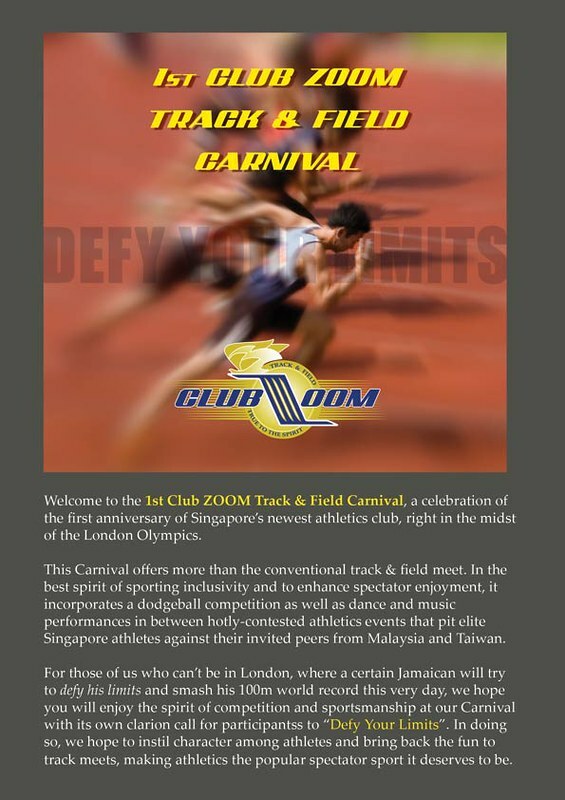 You entertained us with your energetic skills and completed our carnival concept for the meet. 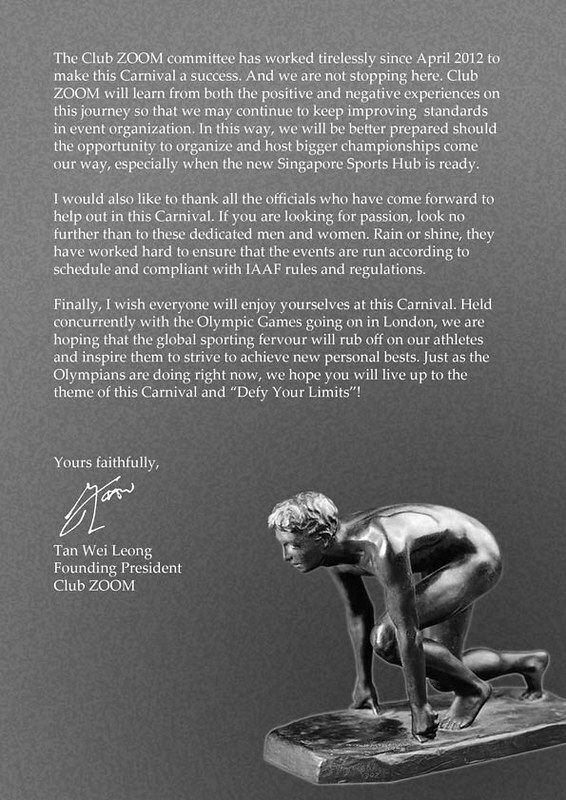 Finally, thank you to our VIP guests, among whom are the living icons of Singapore athletics. 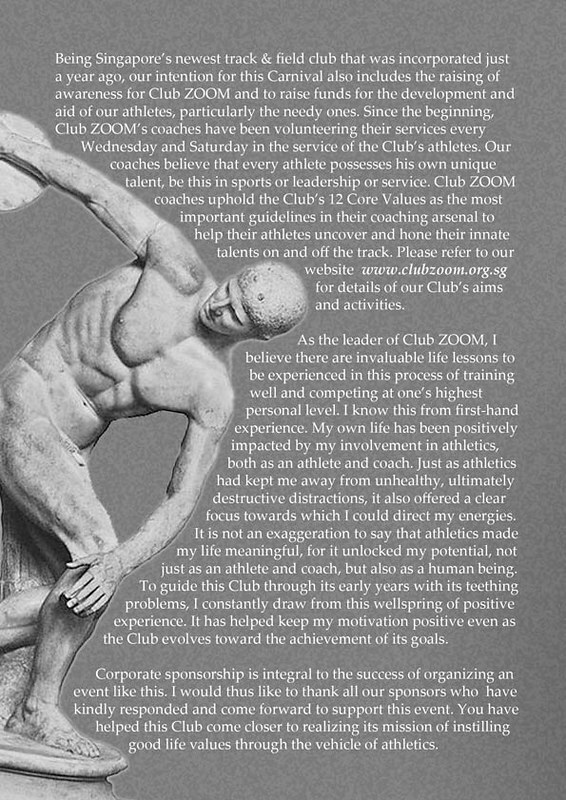 We are grateful for your lending gravitas to our humble meet.